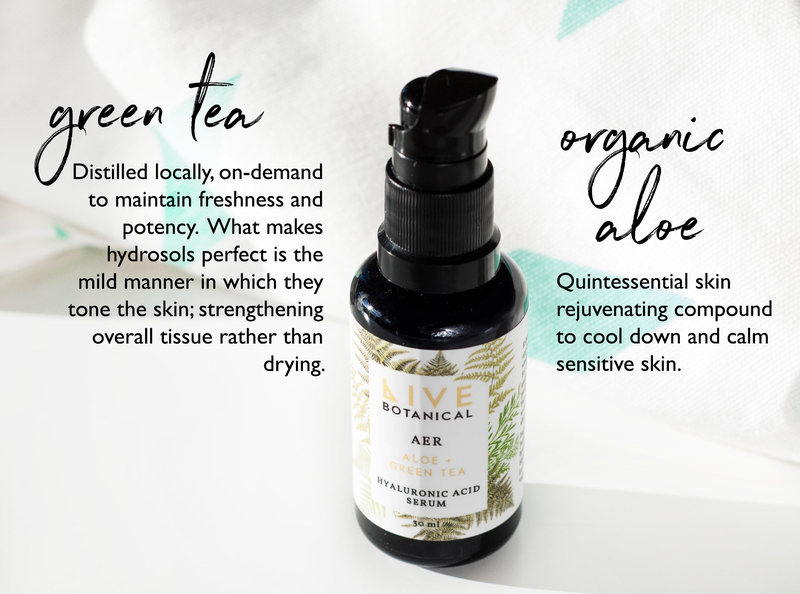 “Live Botanical formulas often highlight humble herbs; plants that are common, abundant and have withstood the test of time. 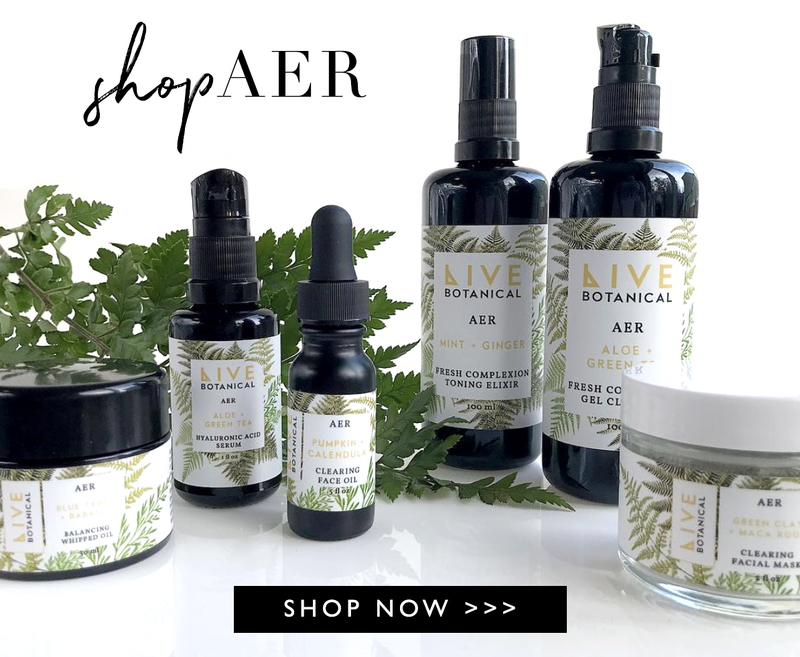 The Aer HA Serum can be used by a majority of skin types. 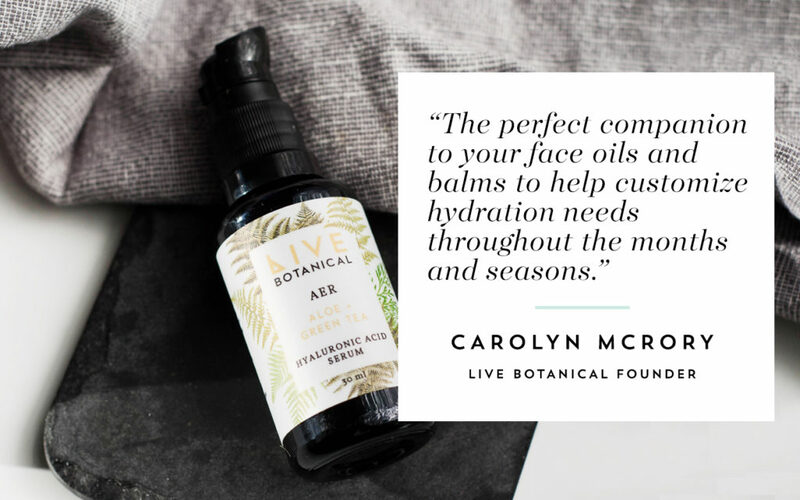 The perfect companion to your face oils and balms to help customize hydration needs throughout the months and seasons. For all application techniques we recommend applying when the skin is wet or damp so it has water to hold on to. Oily or skin that has adequate oil production: apply to damp skin after it has been cleansed. A thin layer using 1-2 pumps followed by a light moisturizer or dry oil. Oily, combination and normal skin: after cleansing, take a 4-8 drops of your favorite oil or equivalent amount balm and mix 2-3 pumps of serum in your palm making a micro-emulsion. Gently massage onto wet skin. It should absorb quickly.